The Abandoned Infant Newborn Protection Act requires that every hospital or emergency medical facility must accept a relinquished newborn infant in accordance with the law. The Illinois Hospital Association’s (IHA) website contains the most up-to-date protocols that all hospitals in Illinois must follow to be in compliance with the Abandoned Infant Newborn Protection Act. If you have any questions, please contact the Illinois Hospital Association (IHA) at 630-276-5400. Hospital protocols can be found on the IHA website. The Save Abandoned Babies Foundation has partnered with the Department of Children and Family Services (DCFS) and Adoption Agencies throughout Illinois to provide a comprehensive training program for hospitals and their staff. This training provides an overview of the Abandoned Infant Newborn Protection Act, details necessary steps to work with an individual wishing to relinquish their newborn, and answers all those frequently asked questions. The training is appropriate for doctors, nurses, Emergency Room staff, security members and volunteers. Please contact us to schedule your hospital’s training at info@SaveAbandonedBabies.org or call 312-440-0229. Click here for a copy of the Hospital Safe Haven Sign Directive. 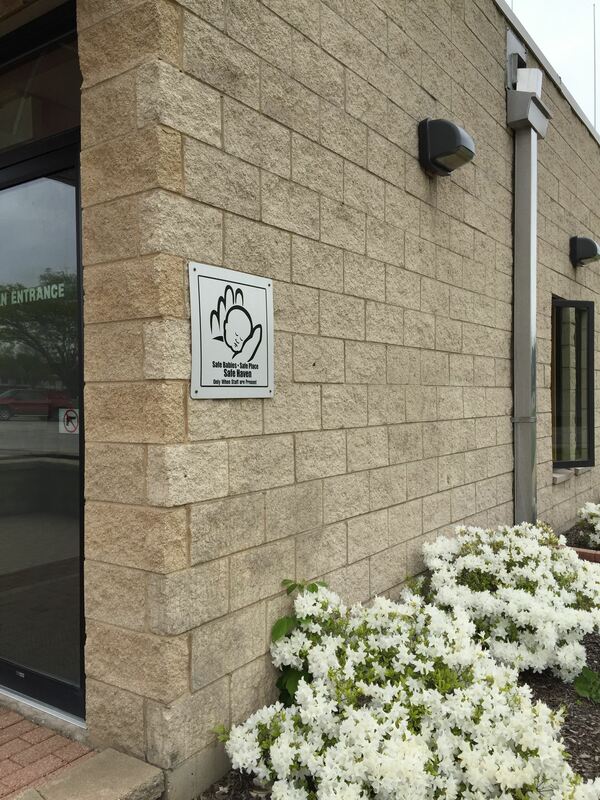 Click here to order a Safe Haven sign for your facility. SAB’s help line is always open. Please don’t hesitate to contact us with questions at (888)510-BABY.